Sota Fukushi will be celebrating his 23rd birthday with fans. A fan event titled "Birthday Party 2016" will be held on March 29th TOKYO DOME CITY HALL. 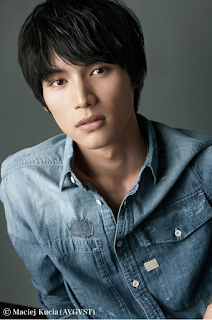 The actor's birthday is on March 30th, so the event will be used to celebrate his 23rd birthday. There's a talk show planned and fans can purchase original goods which will be on sale at the venue. "I am very happy to hold a birthday event each year", the actor commented. "I'm looking forward to meeting everyone". The actor also revealed he's in the midst of planning many fun things for the event. This will be the actor's 4th birthday event.